Spotted:Crawley, a local Facebook page that shares news and funny images, has started the petition on Change.org, which had 631 signatures at the time of writing. Southgate is also tipped for a knighthood, with bookmakers slashing the odds after England’s win over Sweden on Saturday (July 7). Yesterday Ladbrokes was offering 5/2 that Southgate, 47, will be knighted within the next 12 months. “Southgate has got the country believing again and if football does come home, we wouldn’t be surprised to see the boss rewarded by royalty,” said spokesman Alex Apati. Elsewhere, Marks and Spencers was running low on Southgate-style waistcoats, as fans stocked up on them ahead of England’s match against Croatia on Wednesday. 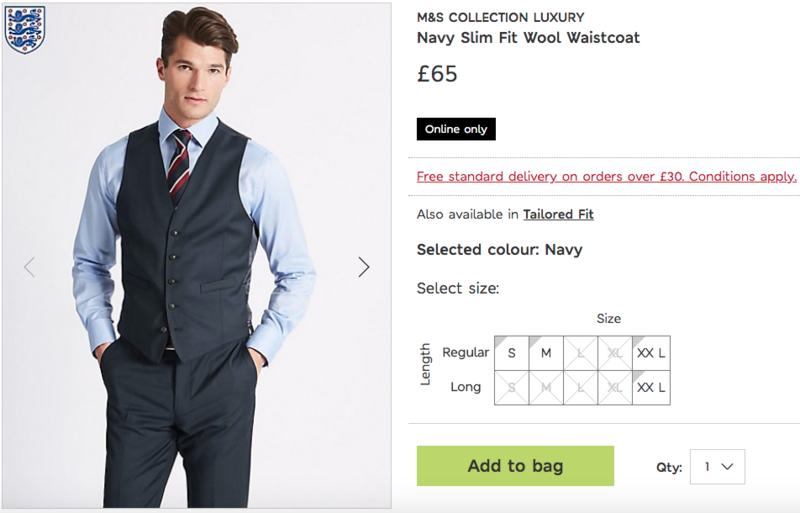 This morning (July 10) there were only small, medium and XXL sizes available in the £65 regular slim-fit waistcoat, with all sizes except XXL sold out in the long length version. Some schools and charities around the UK are encouraging people to wear waistcoats on the day of the match. Virgin Radio presenters Sam and Amy announced on Twitter they’d be wearing waistcoats, while the charity Bloodwise was also encouraging people to wear them to raise money for the cause. Some Twitter users were even calling for Southgate to lead Brexit negotiations after a string of resignations in parliament. Yesterday, Boris Johnson resigned as foreign secretary and David Davis resigned as Brexit secretary. They were replaced by Jeremy Hunt and Dominic Raab respectively.